My grandfather is living with Alzheimer’s disease. My stepfather, Morley, serves as a paid caregiver and companion to a man with Alzheimer’s disease, Roy. Today, I am walking for three hours as part of the Alzheimer’s Association Longest Day™ in honor of these men — Poppy, Morley and Roy — and also my grandmother, Granny Bea, who is Poppy’s caregiver. As I got up bright and early this morning (just before the crack of dawn) to start walking at sunrise, these men were not far from my mind. What were they doing? And what was my grandmother doing? See, Granny Bea is Poppy’s wife of more than 70 years. And in all those years, Alzheimer’s is the only thing that has ever separated them. When my grandfather’s needs became too much for my grandmother to handle alone a few years back, he moved to a facility. But that has not stopped her from remaining his primary caregiver. Granny Bea wakes up early so she can be there when Poppy awakens. So she, too, needs to ‘pre-empt’ the sunrise. During the very early hours, she tends to her own needs and then takes the short bus ride to his facility to be there when his day begins. By the time she arrives at to his place, she has already showered, eaten, checked her schedule and his, and arranged for her transportation. That’s when most of us would take a break. But not Granny Bea. She rides the shuttle carrying things that might make Poppy’s day a little more familiar. And when I say “familiar,” I mean familiar to her, because not much is familiar to him anymore. Poppy has the most decorated room of anyone in the facility — full of family pictures, just as their home together used to be. When my grandmother arrives, Poppy is usually still sleeping. So she collects his dirty laundry and separates it for the laundry service. When he awakens, she will make sure he is dressed in something clean and respectable, tend to his hygiene and get him to breakfast. Some afternoons they will dance. She will hold him close (and sometimes hold him up) while music from the 1920s plays on the radio. Granny Bea says that dance steps are something Poppy never forgets. He may not know her name or even remember who she is, but when they dance, it’s like Alzheimer’s disease never entered their lives. When Poppy is tired, Granny Bea will dance with other residents. Not to the same slow dances she saves for Poppy—but sometimes she will Charleston or Twist or dance Hip Hop —anything to bring a smile to the faces of Poppy’s neighbors. The rest of the day goes much the same. She maintains his personal dignity and her sense of partnership, love and family. Then she goes back to her apartment less than a mile in distance but almost a lifetime away. Walking these three hours will be a challenge for me, as I have not tended to my own physical fitness much in the past nine years of bearing and raising children, but I know the endurance I have shown this morning is nothing compared to the dedication and commitment shown by Granny Bea and Poppy in their fight against Alzheimer’s. I hope we can end this disease before my children have to live with it or through it. And I hope that if I am called into service as a primary caregiver for someone living with this disease, I will also be strong enough to go the distance like my grandmother. View photos from The Longest Day. Julie Sipchen works as a product manager in Safety Services at the Alzheimer’s Association. She lives with her husband and three daughters in Chicago, where they are active in their community and in dance, softball, skating and T-ball. Beautiful! Today I remember my Mother-in-law who just passed from the disease. Erik–thank you for your support and know that each day, we are also walking and working for your family. Thanks for this sweet story of sacrificial and enduring love. Beautiful & inspirational story Julie…Godspeed to you all today. Thank you for sharing your story! 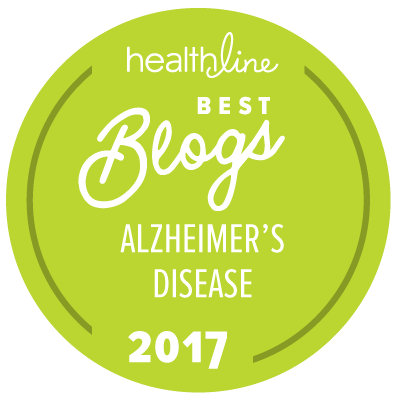 Alz is the most humiliating, horrible disease. My grandma has alz. Not only does it affect the person, but the extended family. Keep Walking today! SOmeday; hopefully, we can put an end to this disease. You are most welcome. And indeed, the whole family and extended family is affected. There is also so much we can do to help each other and others. We can all share stories, and struggles and strategies …. Thank you, Nancy. Clearly you understand the need for support and a cure as much as anyone. Walking was easy compared to the everyday challenges of living with the disease. But if our event illuminated the need to those who can do more to change the direction of the disease….awesome. In the meantime, we will all keep on 'walking'. Yes, a beautiful post Julie – it brought tears to my eyes also. My Dad is in assisted living and no longer knows any of us – it was the first father's day that being several states away from him, really had no way of communicating with him or wishing him a Happy Fathers Day. Thanks for all you're doing today for the fight! Thanks, Kay. And I can only imagine how that must have felt to you on Sunday. Indeed I could not wish Poppy a happy Fathers Day, either and it was also their 73rd wedding anniversary. Bittersweet to say the least. You are most welcome…I walked for all of us, as we are in it together. Beautiful story, Julie! You inspired me to take part in The Longest Day! really, Michelle?!?!? Thanks for being part of it! what a lovely tribute. You are amazing and I hope you had a super day. Thank you for giving us a glimpse into the life of your sweet Granny Bea & Poppy. What a beautiful portrait of love and devotion. Thank you for such a beautiful love story. My mom, Sarah has been debilitated by Alzheimer's as well. I miss the mom she was. I don't get to be with her much–we are states away, and my sister visits the assisted living facility where she and my dad are. I wish I could help her remember the people, places and events she seems to be losing. My daughter and her friends are trying a new activity in her honor and the Alzheimer Association's family today- kayaking, for as long as possible! Surely we count on our youngest and strongest generation to fight for a quick end to this horrible disease! Thank you all who are participating today! Thinking of your mom, Sarah, as I get back to work today:) And kayaking!! Now that is super. Maybe I can do that next year…I love it! Thank you for the support and inspiration.